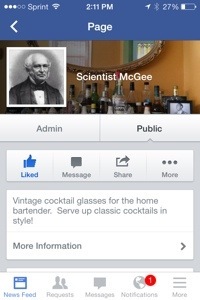 Welcome to the scientist’s St. Louis home bar… where I’d love to make you a tasty elixir. I get all of those at antique malls or thrift stores. Antique malls tend to have nicer glasses but cost more. If you hit a thrift store at just the right time though, you can get some really cheap, good deals. Have you checked those kind of places in Memphis? I’ve looked in a couple. I’ll keep searching. Thanks. Let me know if you don’t find any, because you’ve given me the idea of maybe rounding up some from around here and selling them online. If there’s a type of glass you’re looking for that isn’t in this shop, let me know, and I can keep an eye out for you. Wow. That’s great. We were out all day looking and couldn’t quite find the right coupe/cocktail glass. I just ordered some on Amazon that I am going to cancel and order that 4 piece set of yours. They are exactly what I was looking for. Thank you so much. The other glassware I am going crazy trying to find is a small, stemless cordial glass. I found one on replacements (http://www.replacements.com/webquote/JDLPLAS.htm?s1=GBASE&4365566&amp;). Do you know where to find anything like this? Oh nice! I just got this message. Thanks for the order, and I’m glad they were what you were looking for! I may be able to get some more just like it, in case you’re interested. I hope to get some more an post them within a week, either way. 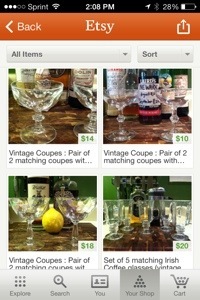 In regards to the cordial glasses you’re looking for, I know I’ve seen some like that, but can’t remember where. I’ll keep an eye out for some and if I find some I’ll let you know. You know where you could check? I feel like I might have seen something like that at World Market. You could check their website. How big are the ones you’re looking for? Oh wow you saved me again. World Market had exactly what I spent 4 hours looking online for! A set of six teardrop “taster” glasses for only 8 dollars. Thank you so much. I see you recently picked up some Aperol. I think this stuff is delicious. I love Campari and it is similar, just nowhere near as bitter. I have a drink you should try with that new Aperol, the Paper Plane (link below). It is complex and delicious. It is a newer cocktail from Sam Ross. Thanks again for the glass help. Nice! I’m on a roll, eh? I’m glad you found everything you’re looking for, and thanks for the drink recipe! I’ll have to try that, it sounds good. 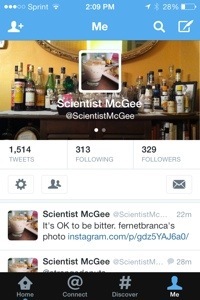 I don’t have any amaro though… any recommendations for a good amaro that won’t break my bank? How is amaro different than amaretto? I’ll check World Market. I’m looking for small ones, 1, 1 1/2, or 2 oz. No bigger than that. Something to sip amaro or something similar in. My liquor stores down here don’t have a great selection of amaro. I have been buying Averna. It is around $20 a bottle and it’s pretty good. I have been told Nonino and Ramazotti are very good. Not sure on the price of those. Amaro is very different from amaretto. It is in the bitter family, very herbal and earthy with a rich, syrupy consistancy. Almost has a spice to it. It works very well on its own as a digestif or with tonic. Thanks for the info! I’ll have to check it out. I feel like I’ve seen Ramazotti before, but not sure. I finally picked up a bottle of amaro. I got some Ramazzotti. I like it so far! I’ve only made one drink with it, but I look forward to finally trying a Paper Plane. Thanks. I think I will be ok with the four. That’s quite a collection of coupes. wanted to make a suggestion. i like your blog and selection of drinks and nice descriptions. i have noticed you have the martini & rossi sweet vermouth in most of your recipes calling for sweet vermouth. i was turned on to a brand called carpano antica for the sweet vermouth. it is excellent. about twice the cost as regular vermouth, and only the big bottle can be found. for me it is around $40 here in memphis, but so worth it. so much more complex and delicious and adds a level of depth that the other brands don’t have. it’s excellent on its own over a cube or two. just thought i’d pass along the same tip i received. it’s well worth it. I always appreciate a good tip! I don’t think I’ve ever seen that brand around here… hmmm, I’ll keep an eye out for it. Lately I’ve been using Cinzano. Have you tried that? Yes, i have cinzano as well. I think that and the dolin rouge are the best of the other sweet vermouths, especially when you don’t require a powerful one. But the carpano antica is the cadillac. Absoulte best. It comes in a large tin package that is kind of pinkish/red/cream colored. I’ll have to try it when I want a special splurge. Thanks! Just stumbled across your blog while researching about Harry Craddock 🙂 Looks awesome. Look forward to your posts. 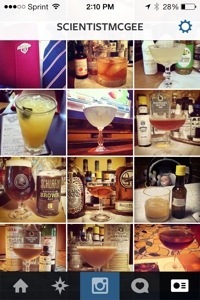 I just started blogging about the cocktails I’ve been making. Cheers! I wanted to check out your blog and when I clicked on your wordpress address, nothing was there. Did you move your blog? Just finished reading your blog (needed a good break). Very enjoyable, thanks for sharing! Thanks! I enjoy yours as well! Awesome blog. May I suggest 2 drinks, one found in Boston/Cambridge. If in Harvard square, go to 1st printer if you want an Aviation, Sazerac, Singepore sling, Last Word, any good old man drink, or an excellent take on the Dark&Stormy (RockSteady). 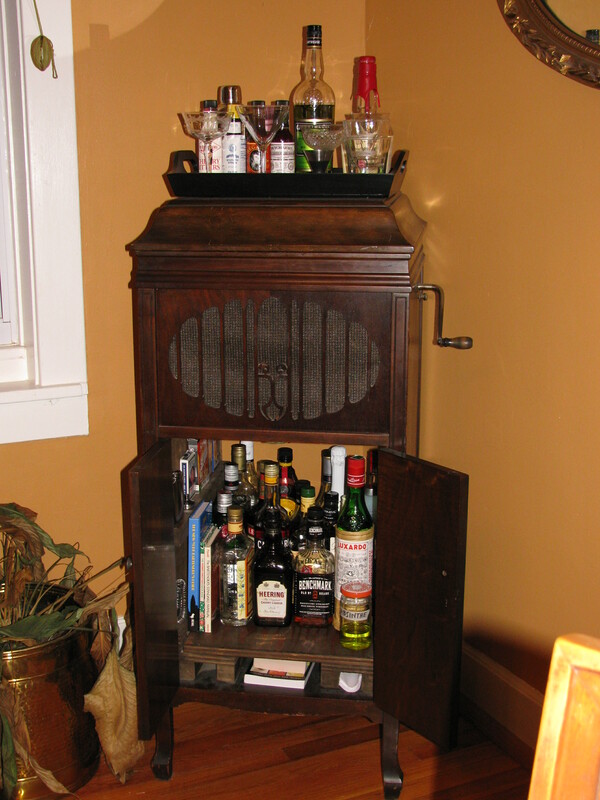 If there, Roosevelt or Mark are excellent bar tenders. Try the Correspondent. Equal parts Green Charteuse, Clean Cognac, and Liqueur de Rose*. Shake with ice, strain, and use a single Loxardo Marsaschino cherry as a garnish. A 2nd from the same original. source (The Flowing Bowl 1891) is The Crown. Eq parts Maraschino, Green Chartreuse, & Benedictine. I’ve found it to be awesome stirred/strained with Peychaud’s or Regan’s Orange Bitters. The secret may be a good bitter Absinthe, such as Leopold brothers Absinthe Verte at 1/2 the rest. Not sure if a more solid bitters such as Cynar or Compari at the right amount may balance out everything and approach nirvana. *Liqueur de Rose should be as important/useful as creme de violette. It balances a lot of drinks that are slightly too bitter in an intriguing way that’s not too bright/floral. V. Cirace in Boston has a version instead that I’ve tried that may be more accessible tham Briottete’s. V. Cirace also has a similar liqueur with fennel or lavender I need to try. Hey thanks for the advice and recommendations! I’ve never noticed any liqueur de rose in recipes or in stores. I’ll definitely keep my eyes peeled for it. Sounds great!